Talking the mystery out of fritattas . . . . . Becoming an ever popular dish on brunch menus and in the home, fritattas are a great fast food that can be made as nutritious or as decadent as one wants. It is as simple as that really but over a period of time the English took the name fritter to mean something slightly different. However, it can still be traced back to the original fritatta - foods bound in egg or a batter and fried. The French took the Spanish tortilla and refined it into what is now known as a Spanish omelette, which to this day is one of the few omelettes that is served flat (like the original tortilla) and not rolled like other omelets. So if you want to serve this dish as part of an Italian themed menu call it fritatta, if you want it as a Spanish dish call it tortilla. If you want a more refined French luncheon, cut the vegetables delicately and call it omelette d'Espagne or Spanish omelet. This recipe is for the classic Spanish version which is great, or even best, when left overnight, cut into wedges and served with crisp bacon, sliced choritzo sausage or served traditionally with baked or grilled apple rings and thick slices of black pudding. But as always the choice is yours . . . serve it hot or cold with anything you wish. This recipe and this dish is not going to win any heart foundation awards, due to the eggs and the oil. The large amount of oil is required however to give the dish its richness. As it is virgin olive oil however there is no cholestrol and it will be absorbed by the foods and lend itself to the dish, it will not be oily. It may not be a weight watchers dish but then it is not a dish you will be eating every day . . . and just a little of what you fancy so enriches one's life. 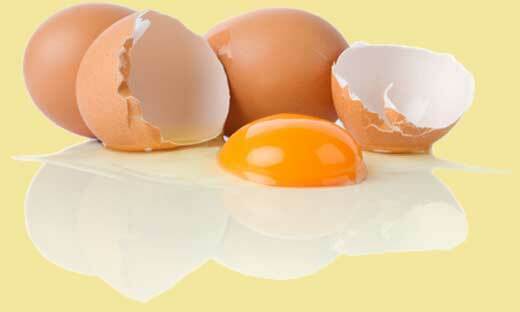 Eggs should never be overcooked. They are best cooked until only very lightly set and then allowed to finish cooking off the heat source - the heat retained in the pan will finish the cooking process. Overcooked eggs are hard for the body to digest and likely to cause flatulence, lightly cooked eggs however are easily digested and ideal for the very young, elderly and the sick alike. Sliced garlic may be added when cooking the pimento. Enjoy your Spanish omelette and bon appetit . . . . .